Liverpool Canoe Club was formed in 2008 and is an "Open" canoe and kayak club accepting members from every age group and all walks of life. Its aim is to promote paddling opportunities for all its members. In 2008 we held our first sea kayaking expedition to Alaska, in 2009 saw members paddling the Chapleau and Nemogosenda Rivers(Canada) in open boats. in 2010 we returned to Prince William sound to cross to Valdez. In 2012 the Club ran is third expedition to Alaska and saw 9 members paddle over 200 miles over to Knight Island and the glaciers around Icy Bay and Nassau Fjord. Each year the club runs a trip to the French Alps for two weeks of Alpine paddling. Numerous courses are organised for members (both internal and externally). We are one of the most active clubs in the country with over a 150 trips and paddles a year. 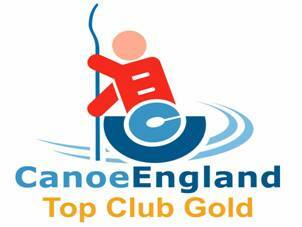 In December 2013 the club was awarded Top Club Gold Status, one of the few clubs in the country to achieve this prestigious Award. We have been judged to have achieved the highest standards in: The Activity Programme Duty of Care and Safeguarding and Protecting Children Sports Equity and Ethics Club Management. Liverpool Canoe Club prides itself on catering for all its Members` canoeing interests and requirements. We aim to provide the maximum canoeing and kayaking opportunities for all our members.